The Comune di Milano migrates from IBM COBOL running on a z/OS Mainframe to COBOL-IT. Cobol-it > IBM COBOL > The Comune di Milano migrates from IBM COBOL running on a z/OS Mainframe to COBOL-IT. 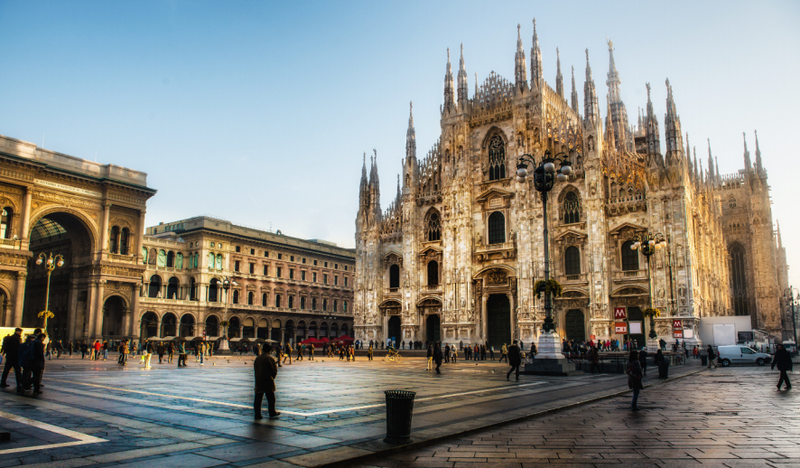 The Comune di Milano rehosted their online and batch Population Registration applications from an IBM z/OS Mainframe environment to a Red Hat Linux environment using COBOL-IT. The Comune di Milano cut costs and improved performance by re-hosting their IBM Mainframe COBOL application, and migrating to COBOL-IT. With the COBOL-IT Compiler Suite Enterprise Edition, the Comune di Milano was able to preserve 100% of the functionality of their mainframe application. The Comune di Milano is responsible for the management of the City of Milan. The Comune di Milano has 14,000 employees. The IT Services of the Comune di Milano manages the City of Milan in the Lombardia region of Italy. The Comune di Milano migrated their Population Registration application (SIPO Sistema) from the z/OS Mainframe to a Red Hat Linux operating environment. The Population Registration application consists of about 4000 programs, containing over 5 million lines of code, and provides 600 users in the City of Milan with demographic information about the Comune di Milano. The Population Registration application was developed in the 1980’s, deployed on an IBM mainframe, and contained both CICS and Batch components. On the Mainframe, the application stored over 500 GB of data in VSAM files, DB2 database, and sequential files. The Comune di Milano chose HTWC as their Migration Partner, because of their expertise with re-hosting mainframe applications in Open Systems environments. Together, they constructed a solution stack that included HTWC XFRAME, XVSAM, XBM, XSPOOL and XPM, in addition to Jasper Reports. They chose to implement IBM DB2LUW for the DB2 data, while migrating the IBM VSAM data to HTWC technologies using XFRAME and XVSAM. In the end, 371 tables, 10 VSAM files, and 1600 sequential files representing over 500 GB of data were converted. 15 AFP modules were converted to Jasper Reports. 1400 JCL streams were converted using HTWC tools. Performance benchmarks all passed with comparable or better times. The entire migration took less than a year, and is now running in Production and maintained by the same number of programmers. When the Comune di Milano evaluated their options for lowering costs by leaving the Mainframe, they concluded that the solution set provided of cobol by COBOL-IT was the lowest cost, lowest risk re-hosting solution. After the automated re-engineering provided by HTWC, the COBOL-IT Compiler Suite Enterprise Edition compiled the source for the Comune di Milano’s applications with no incompatibilities. Performance benchmarks all passed. Interoperability with third-party tools such as JasperReports was tested without problems. COBOL-IT’s interoperability with “C” and Java was critical in assuring the Comune di Milano that the solution represented a solid investment moving forward, and that they would continue to be able to leverage rapidly changing technologies into the foreseeable future. Working with the HTWC technical team, the Comune di Milano was able to effectively re-host all of the elements of their solution stack. They were able to emulate tools that did not exist in the Open System Linux environment, and interoperate with tools that did exist in the Linux environment. They were able to reproduce the report writing capabilities. COBOL-IT programs interfaced with all of the critical middlewhere components and third-party tools. Stephane Croce, CEO of COBOL-IT. critical middleware, and thirdparty utilities. No change in user experience.